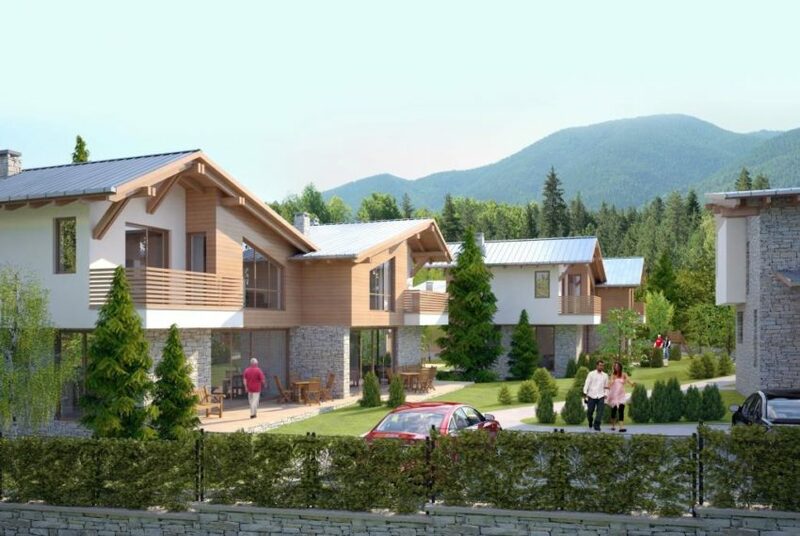 Modern and beautifully designed New Build Houses for Sale in Bansko in a fantastic location with truly stunning panoramic views of the slopes and the Pirin Mountain range. Fantastic opportunity to purchase one of these beautiful newly built houses in Bansko. The middle house is for sale. All that remains is to furnish it and it will be complete. The developers are happy to assist you with this and can offer you a furniture package if you want. 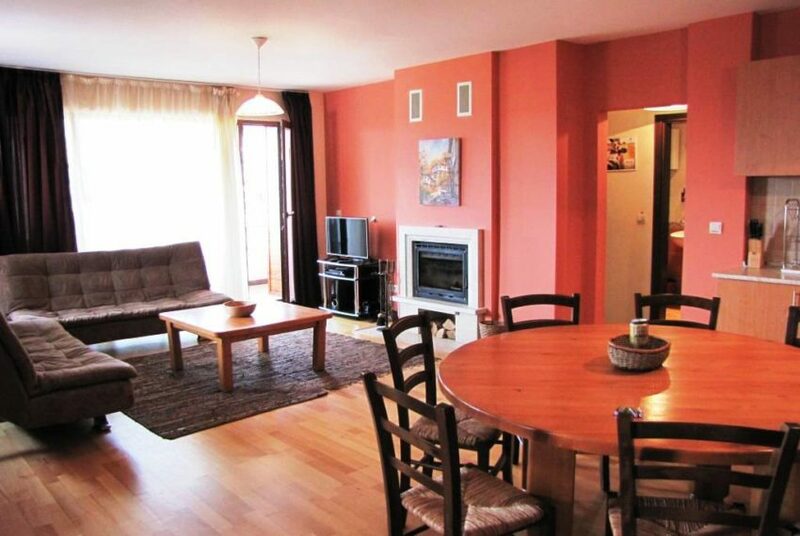 These 3 townhouses are situated in a residential setting facing south and with amazing views. 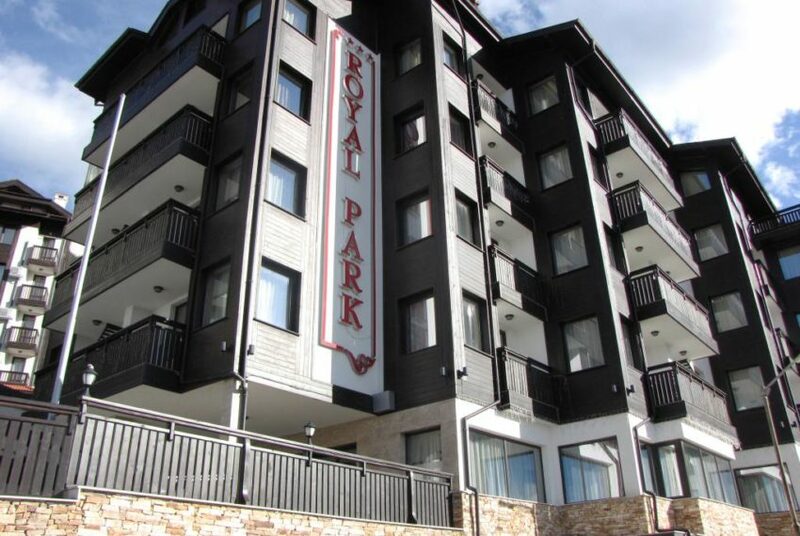 They are less than a 5 minute walk to the Gondola Station. 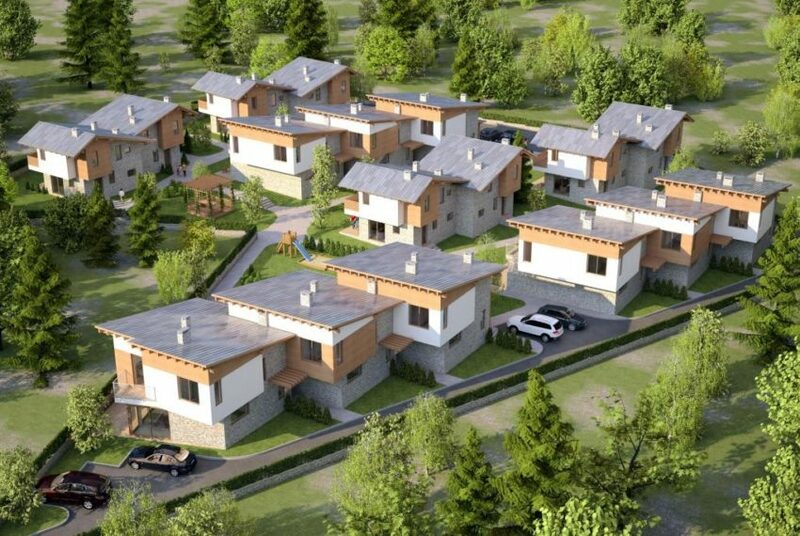 This is the first stage of a plan of 17 houses to be build in this lovely area. 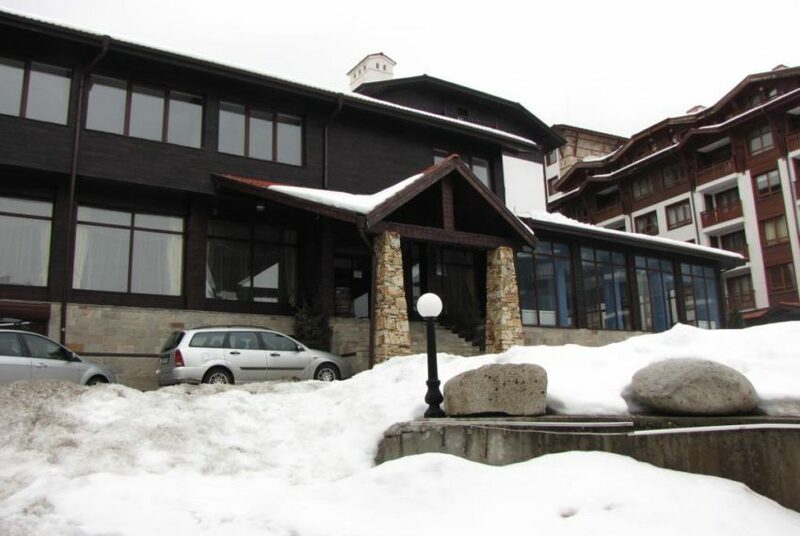 This is a unique opportunity to own a modern, newly built, economical 3 bedroom house in Bansko. No work needed. 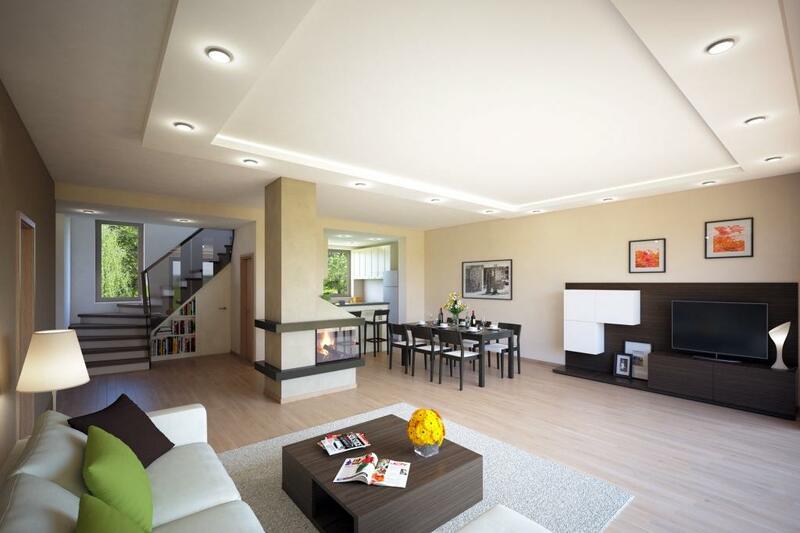 Just furnish it in your own style and you will have a beautiful home. The area for these houses will be gated to provide extra security within and currently their own individual alarm system for security. The houses are being built to very high specifications with the architect overseeing every stage. 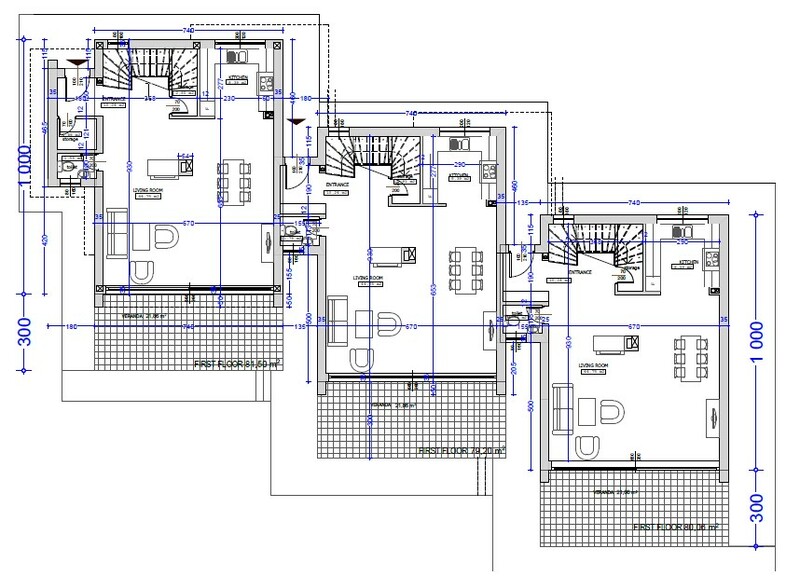 Each plot of approximately 300m2 has a different footprint, depending on the position in the complex. 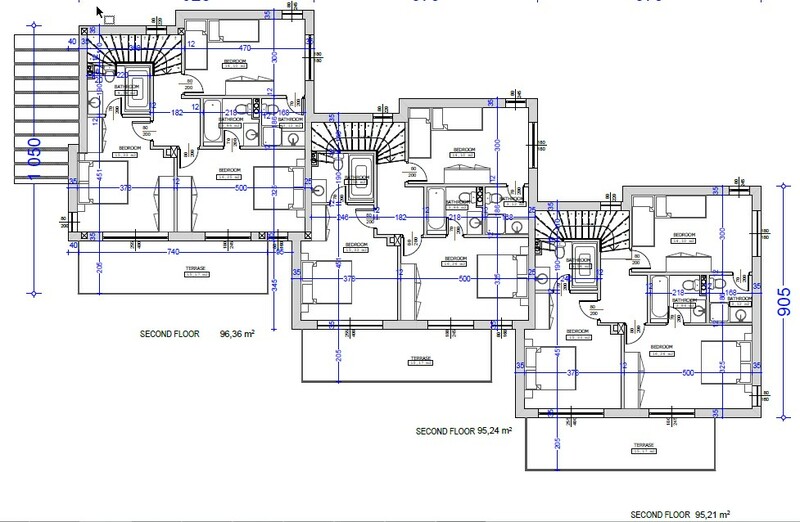 The houses have a build area of 90m2 with 2 levels so around 180m2 each. This leaves space for a parking area on each plot, a terrace area an small garden for easy management. The price listed is for the middle house does not include furniture. 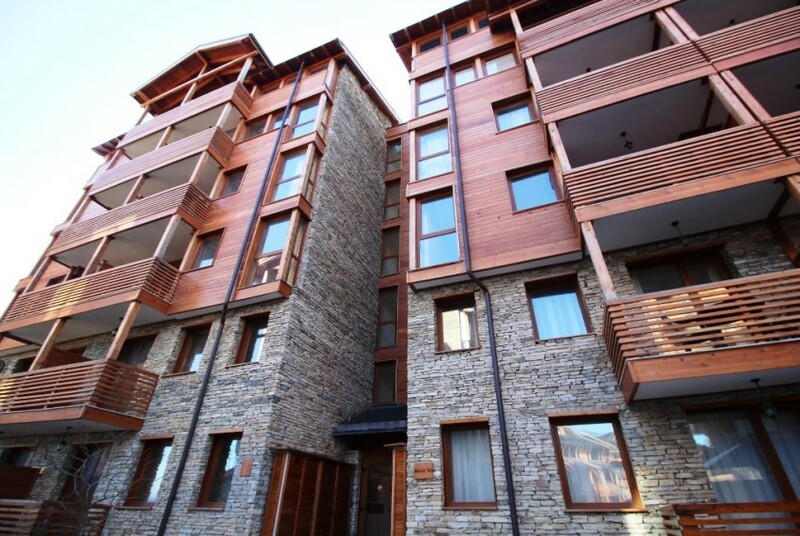 The facade of the houses is finished with beautiful mix of wood, stone, metal and glass. The lines are clean and modern yet in keeping with the natural environment. Only high quality materials are used. Roofing – Special Timber supports and finishes; steel sheeting, cladding for insulation, strength and safety. Insulated and waterproofed to conserve heating and reduce noise. 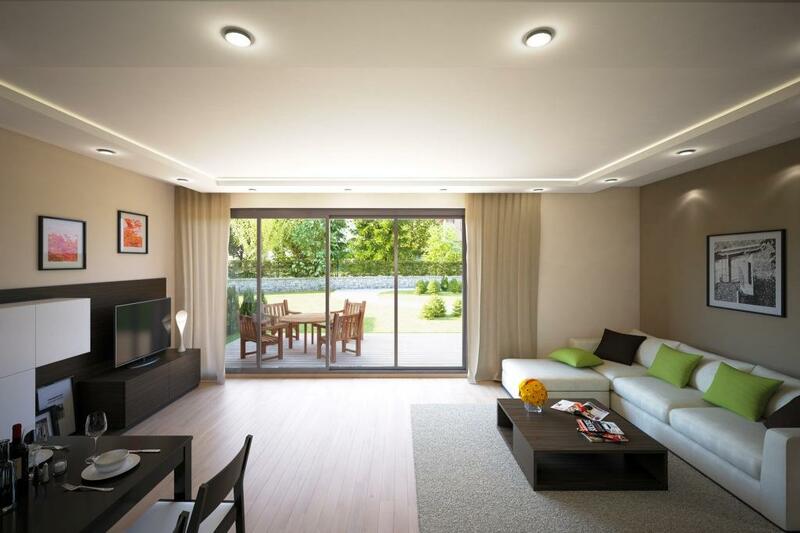 Windows and outside doors – high quality aluminium frames with double insulation, including micro opening facility. Balcony railings – are made of Metal to accompany the house design and to maintain low maintenance. Main entrance door – is equipped with a mortise lock and anti-thrust bolts for security. Inside doors – are made of solid wood with matte glass in the panel frame. Inside walls – decorations are made with plaster of lime solution, then plastered again with more fine white lime mix for a smooth finish. Underfloor Central Heating – the entire house is fitted with a Heat Pump System, covering the underfloor heating and hot water system including a 200 Lt boiler as a reserve for hot water. 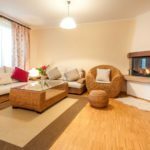 Electrical – There are electrical fittings prepared for the sound system in the living area, ready for connection to TV, WiFi, phones etc. Loft – Area at the top of the house fitted for storage, can be either beamed or gypsum finished. Your choice. There is also a fitted pull ladder on the hatch for easy access. 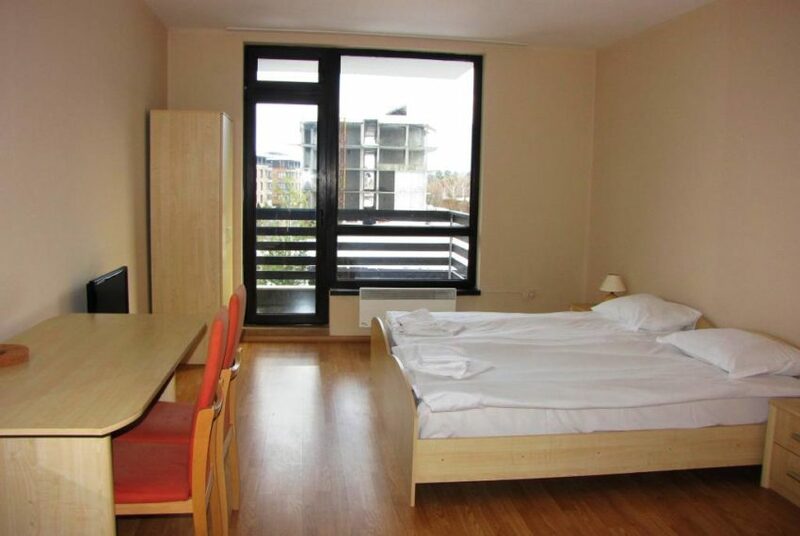 Flooring and tiles – Parquet look ceramic flooring throughout all the bedrooms. The rest of the house is tiled in lighter colour parquet ceramic flooring, quality ceramics of European design. All outside flooring tiles are non slip granite tiles. Ample ski/baggage storage – space in a storage closet just off the front door to avoid excess clutter. Walls – A very important feature is that all dividing walls between all bedrooms and bathrooms are constructed with high quality bricks and they are not made of gypsum partitions. Fireplace – Each house is fitted with a feature central fireplace to heat the entire ground floor and to give the house more character. Stairs – Each step is fitted with timber treads whilst the banister is comprised of glass/metal and wooden hand rail. 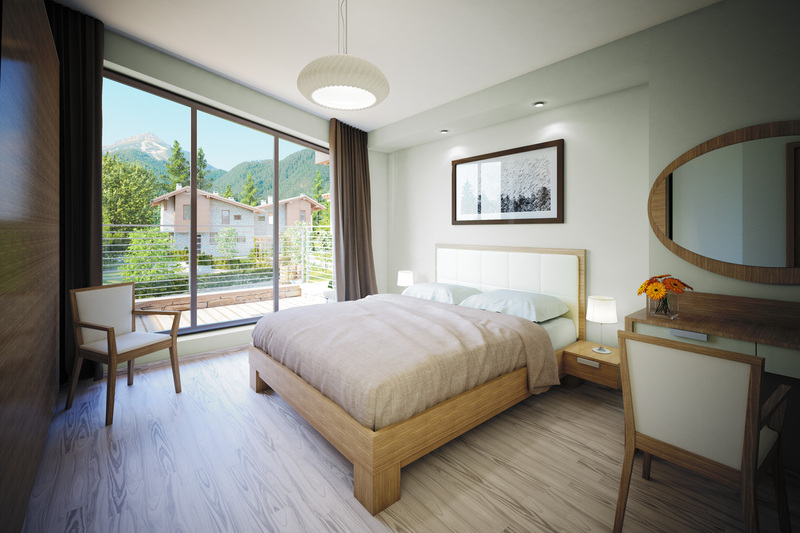 Bathrooms – Each house has 3 en-suite bathrooms, one for each bedroom and one spare toilet with wash hand basin in the living area at ground floor level. There are two bathrooms which have a bath and one which is fitted with shower facilities, all of which are finished with highest quality tiles/ceramics. Bedrooms – Each bedroom in the house is spacious enough to fit one double or two single beds comfortably. 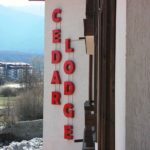 They are positioned within the house in such a way as to enjoy a spectacular view of the Pirin Mountains from their own private balcony. Electrical installation – is made of a distribution board, fitted with energy saving lights, sockets and ON and OFF switches for the central heating/security lights. The price shown is without VAT at 20% which can usually be claimed back. 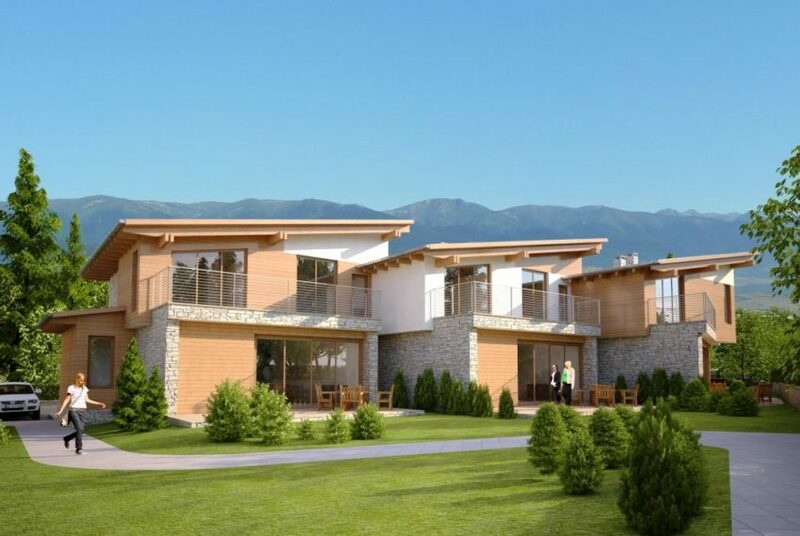 The details we provide for these new build houses for Sale in Bansko are prepared as a general guide only, and should not be relied upon as a basis to enter into a legal contract, or to commit expenditure. Any interested party should satisfy themselves or consult their own professionals before committing to any expenditure or other legal commitments. Lounge, Kitchen, Dining Area, WC and Utility Room. 3 double bedrooms. Each with ensuite bathroom.